3daysofdesign was, primarily, a trade fair in and around Copenhagen to show the products of some forty designers and manufacturers: lecturers and receptions were clearly aimed at people working within the industry or buying for independent stores or on a contract basis for commercial interior design or furnishing projects although these open days were an opportunity for the public to look around showrooms that are usually open by appointment or normally only visited by trade buyers. Presumably, few customers, walking into a furniture store to buy a chair or a table or a sofa, ever give a second thought to the contract catalogue of the manufacturer although, either directly or subliminally, that may well be what has influenced their choice. 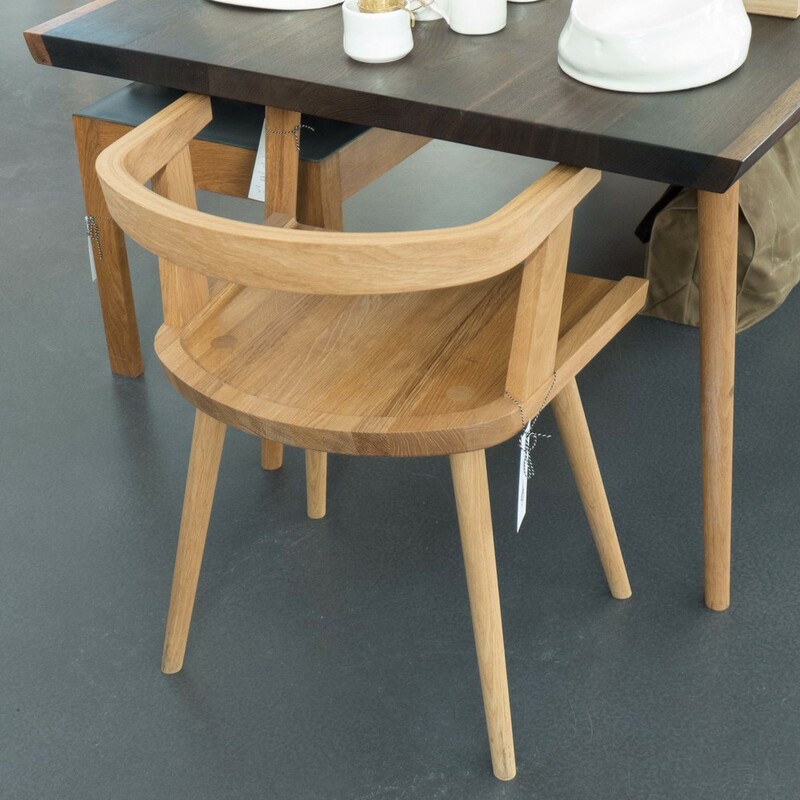 Of course a contract to supply furniture to a hotel or a new restaurant is important income for the turnover of a company but it can also mean high public exposure for designs that are a long-term and ongoing advert that can consolidate the reputation of both the designer and the manufacturer. 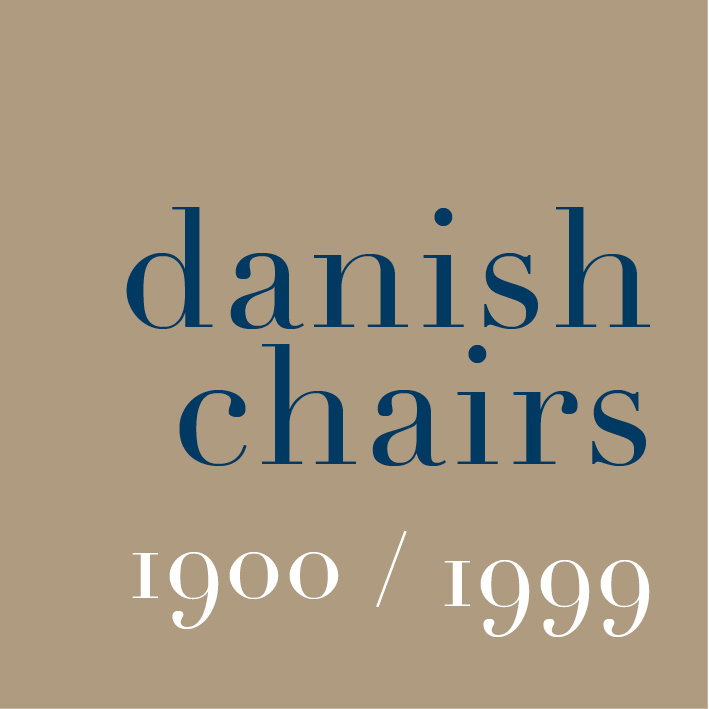 One example of a Danish company that produces clearly commercial furniture alongside high-quality furniture for the home is Getama who make seating for theatres and auditoriums, including the Royal Danish Playhouse and the Nørrebro Theatre in Copenhagen, and beds for Danish Embassies, the Danish Army and numerous hotels. Although, presumably, few in the audience leaving the theatre will think that what they really need for their apartment is a theatre seat, a reputation for making such heavily used and robust but stylish furniture contributes enormously to the reputation of the company and their furniture. OneCollection have produced furniture from designs by Finn Juhl for the Danish House in Paris and furniture for the Danish embassy in Washington and, of course, new seating for the recent refurbishment of the Trusteeship Council Chamber at the UN building in New York that was designed by Juhl in 1951 - all high profile and prestigious projects that have contributed to the rapidly-growing international reputation of the company. Furniture for fashionable hotels and restaurants give designers and furniture manufacturers important and ongoing exposure … NOMA in Copenhagen was refurbished in 2012 with dining chairs from J L Møller that were designed in 1962 but are combined with new tables designed specifically for the restaurant and with new, low, armed chairs, the Ren Chair, designed by Space of Copenhagen for Stellarworks. Furniture, including Beetle Chairs and bar stools from Gubi have been used for the Standard on the harbour front in Copenhagen and their Masculo Chairs, designed by GamFratesi, are used at the prestigious restaurant Amass. 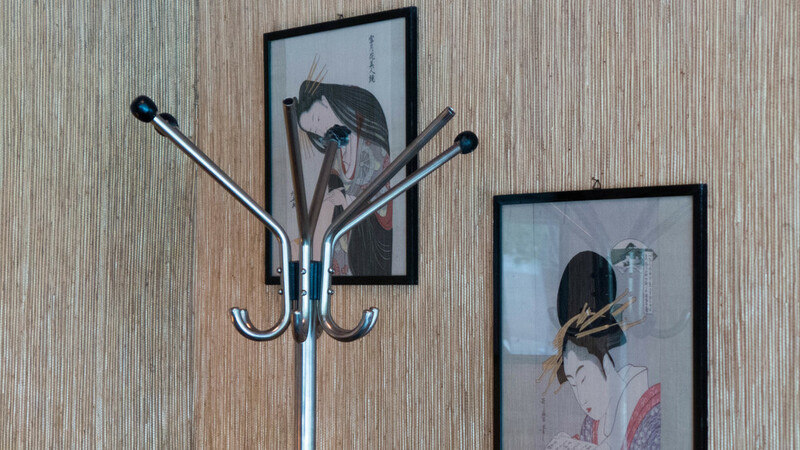 For many people their first chance to actually sit in or use a design piece may well be in a restaurant or in a hotel room and this can mean that some are tempted to buy the designs for their own homes. Certainly, new ideas tried in hotels do transfer across to the domestic market ... so, for instance, the demand for en-suite bathrooms and the increasing fashion for wet rooms in homes in England must surely be driven by a wish to imitate something enjoyed in a stay at a hotel. And, of course, advertisements for the hotel or restaurant and reviews in newspapers will also show off well the furniture. Many hotels and restaurants are also used as sets for photo shoots for ads for glossy fashion magazines, again making readers of those fashion magazines familiar with good recent furniture designs or with possible new trends in interior design. But well-designed furniture does not just have an influence when used in expensive places to stay or eat. Muuto have ensured that their chairs comply with high standards required for contract use in hospitals and schools which should reassure customers that they are robust and easy to maintain. Even good, well-designed furniture used in schools can have a long-term influence - at the very least teaching children to appreciate good design. At the beginning of the year at Northmodern, the design fair at the Bella Center in Copenhagen, I was talking to a manager from the Paustian furniture store in Copenhagen. As a child he had been to a school in Copenhagen that was designed by Arne Jacobsen - presumably Munkegårdsskolen - and it was only after leaving school that he found out, much to his surprise, that not all children had Jacobsen furniture in the classroom. I wonder how much his choice of career was influenced by the furniture he sat on in school for all those years? Slightly out of Copenhagen along the coast to the north, at the north end of the main street in Hellerup, is The Shop of the New. 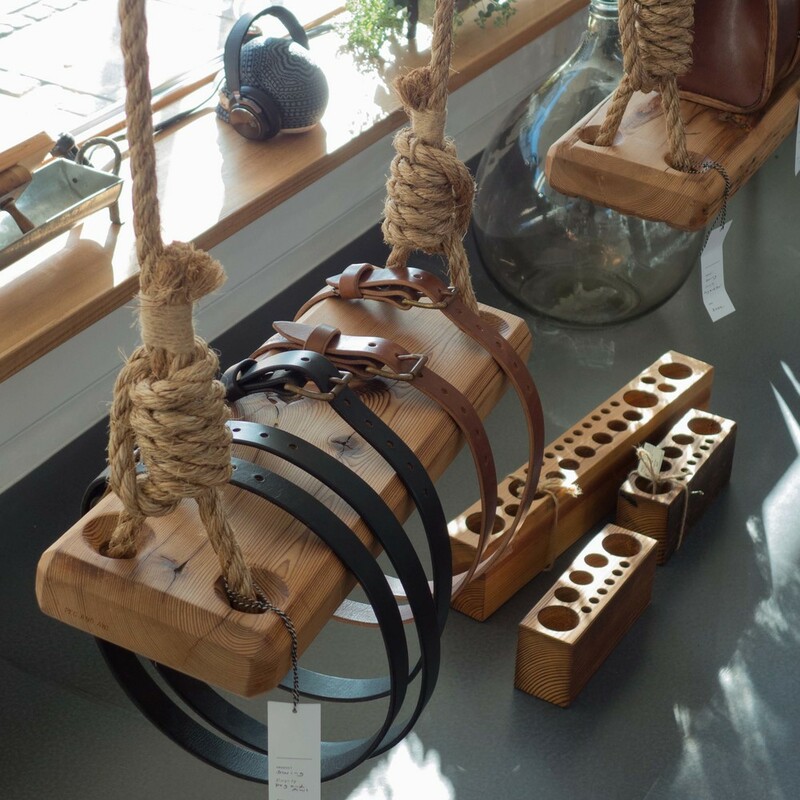 This opened at the end of last summer and is in fact the store for the Copenhagen furniture makers Københavns Møbelsnedkeri who have their workshops in Islands Brygge - the area on the east side of the inner harbour in Copenhagen and immediately beyond Christianshavn. Again the style is probably not what is immediately recognised as Classic Danish although what is clear in the design of the furniture is the Danish love of and deep respect for wood and craftsmanship. 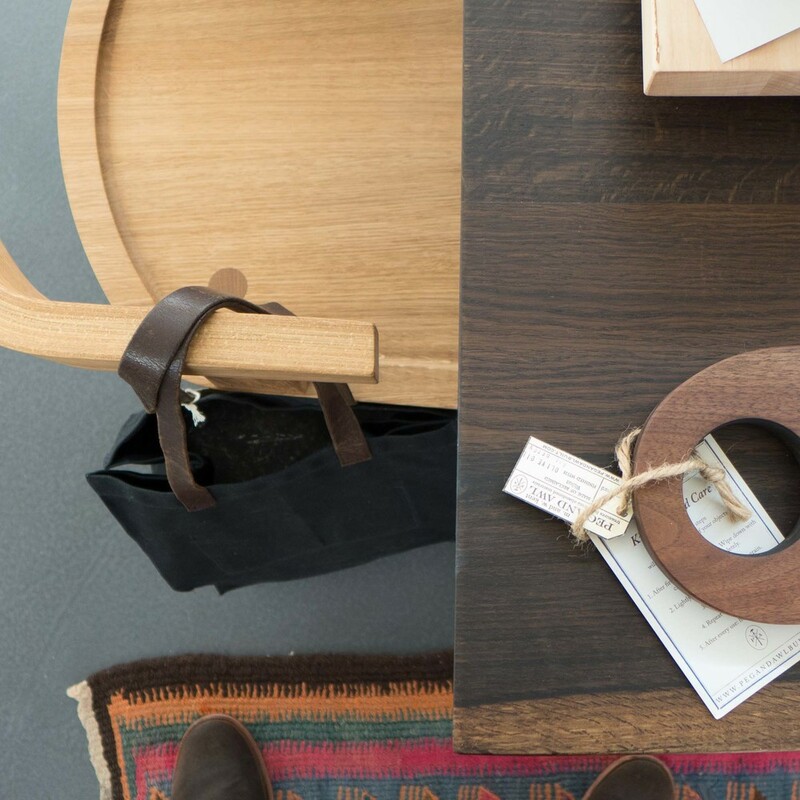 I hope to talk to some of the craftsmen at the workshop at some stage but until then what I can see is that there is a deliberate stepping back from current Danish design. Not stepping away but stepping back in time and returning to earlier principles and earlier methods of design and production. The photograph in the shop and on their web site, with the craftsmen from the company dressed and posed to look as if it was taken a century ago, is clearly tongue in cheek - funny and ironic - but actually a very clear statement about returning to earlier principles. This is not nostalgia. This is saying that if you feel concerned or feel that something is wrong with where you are then, rather than blundering on, hoping to find your way, it is often better to go back to an earlier fork in the road and try a different route. So this is a return to the techniques and the view point of craftsmen c.1900 and not a return to their designs. In the work of the cabinet workers from companies such as Rud Rasmussen, working with designers like Hans Wegner in the 1940s and 1950s, you can see and appreciate that between designer and maker there was a mutual respect and a common understanding of workshop techniques and together they explored what was possible and together tried new forms and developed new techniques. It is significant that on the wall in the shop in Hellerup is displayed a definition of the role and status of the artisan. With its political and moral overtones, this view has been rather sidelined for fifty or sixty years but this must be the right time to reassess those values to see if they could and should have relevance now. That’s the idea of apprenticeships; the reassessment of the values we put on certain skills and the idea of respecting and carrying forward knowledge and experience. What you can also see here, I suspect, is inspiration from what is called vernacular or craft furniture. Go to the open air museum in Aarhus or look through the houses at Frilandsmuseet, the open air museum north of Copenhagen, and you will see robust, honest furniture made by joiners and carpenters from villages and country towns, made locally; made to be functional; made to last but far from crudely made. Look at the way that furniture was made to improve the life of the owner and make lives more comfortable and more enjoyable … that is one basic but important definition of what makes a design good. The Shop Of The New also sells their own lamps in turned brass, children’s furniture from Collect Furniture, skate boards from One Village, chopping boards, grinders and yard brooms from the Philadelphia company Lostine and T-shirts and shorts from the Pacific Island company of M.Nii. Again, as with the other shops, look at the distinctive packaging, the use of good graphics, the careful presentation in the shop to reinforce the style, type and form of furniture that they are making and selling. There’s also a really good coffee shop in the store and the bus from the centre of Copenhagen stops outside … just in case you are worried about venturing that far out of the city. Last Summer I recommended a number of coffee shops and book shops in Copenhagen. I drink a lot of coffee - my friends are convinced that I have got to the stage where I need “inflight refuelling” - like those surveillance planes that keep in the air by occasionally meeting up with a flying tanker that trails behind it an umbilical with a cone on the end that dispenses fuel - and I spend a lot of my money on books so bookshops that sell coffee are, for me, about as good as it gets. Both these coffee shops are on side streets in Copenhagen so probably not the sort of place a visitor would come across by chance. Tranquebar at Borgergade 14, is on the corner of Landgreven - a long narrow open space (with an underground car park) that runs down to Store Kongengade. The bookshop specialises in travel books but also has good general collections including architecture and cookery. There is a large area of comfortable seating and they serve coffee and food and, on the evening I was there, they also had wine although that may have been because there was a book signing. The book shop has an active programme of music, talks and book signings … the present home page of their web site has a photograph of Michael Palin in the shop. I leave it to you to decide if that is a good or a bad thing. Democratic Coffee Bar at Krystalgade 15 was established in 2011. It is not strictly a bookshop although it does sell some books and magazines but it is closely associated with books because it has one entrance from the street and one entrance directly out of the lobby area of the public library. Last summer I was staying with an American friend in Copenhagen and she told me about the coffee shop and said she would take me to see the bullet holes. I rarely need any excuse to go to a coffee shop but that must be one of the oddest to keep in reserve for future use. When we arrived at Democratic, after a quick word with the bloke serving, we were shown through the kitchen and out through a doorway into an internal courtyard. I’m no expert, but as far as I can judge, the wall of a stair turret was peppered (I think peppered is the phrase you use) with bullet holes. There was no explanation about who, when or why so I kept fairly quiet in case they dated from 1807 when the the English navy attacked Copenhagen and made a pretty good attempt at raising the city. The Danes are pretty tolerant and pretty forgiving but just in case I tried to pass myself off as American. Back in the coffee bar we had some excellent coffee and split (shared) some fantastic cakes baked there and when the owner arrived we had a long discussion about wine and tried a few samples he had just brought back from a trip to France as possible candidates for sale in the cafe. The next day, somehow !! I found myself back in the coffee bar with the plan to have one of the best of the cakes completely to myself. The owner recognised me and rumbled the motive and we then got into a long conversation about baking and what makes a really good cake which somehow involved a lot more free tasting. Obviously the poor man would go bankrupt pretty quickly if everyone reading this post expected free tours of the battlefield along with tastes of wine and cakes but it does suggest that a warm welcome comes with the good coffee. Just a block to the west of Norreport metro and railway station is Israels Plads - a large square in what was a working-class area of Copenhagen - an area that grew rapidly in the 19th century once building immediately outside the defensive walls of the city was allowed. 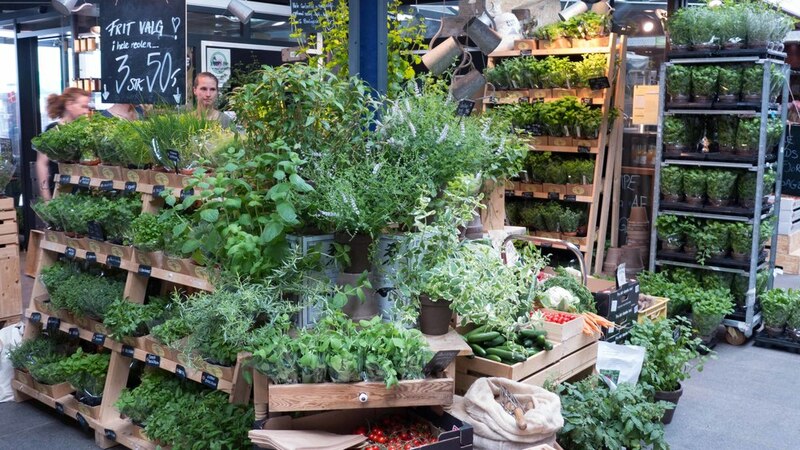 There was a greengrocers’ market here from 1889 but it closed in 1958 when a new vegetable market opened at Valby. New food halls and an area of open market here at the north end of the square, for bread, coffee, wine, fresh meat, cheese and of course fish, along with stalls for cake and drinks opened almost two year ago in September 2011. 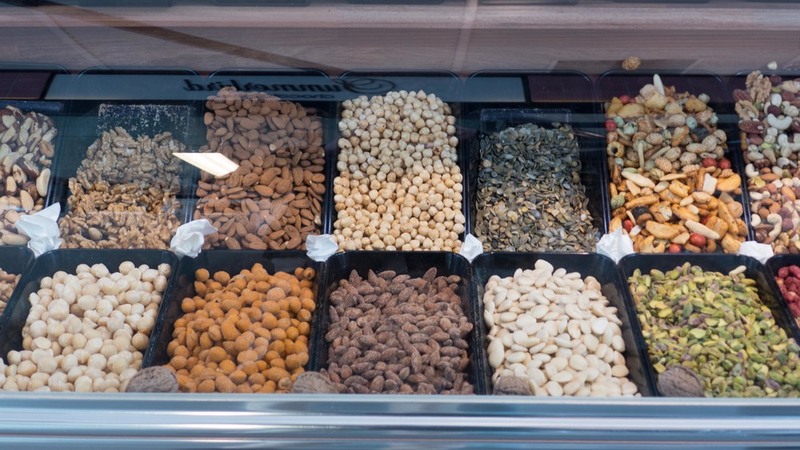 If you are beginning to think that I am including rather a lot about food in a blog about design then just, for one thing, look at the amazing displays and the importance of packaging and lettering and generally the sense of good design shown here in the market. For another, isn’t it obvious that well-designed tableware deserves to have good food served with it and good food deserves well designed tableware to show it to its best? If after a coffee and cakes you feel you need to do something more intellectual and more virtuous then just off the north side of the square at Rømersgade 22 is the Arbejdermuseet or Workers’ Museum. This is in the former Workers’ Hall with a permanent collection that shows the life of working people from around 1850 until today and there are two or three temporary exhibitions a year. There is also a library and archive for documents and papers about working-class life. 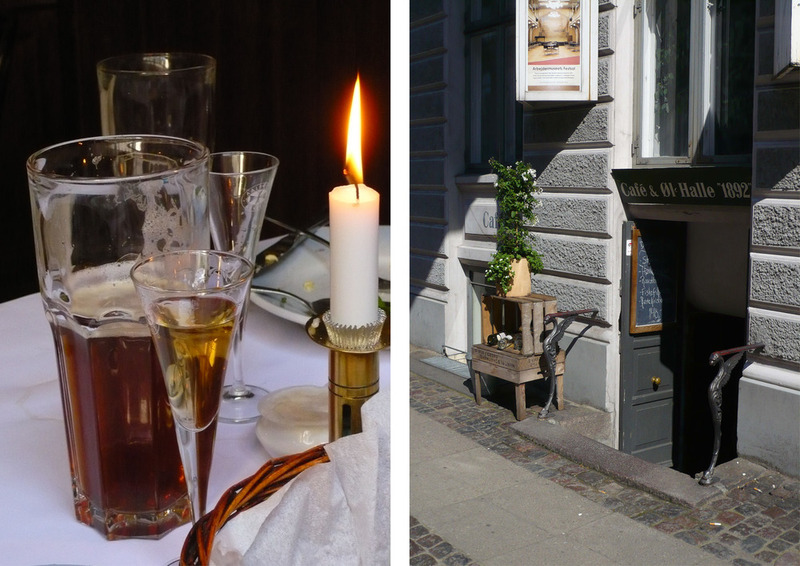 The museum restaurant, down steps on the street frontage and called Café & Ølhalle, is a really amazing place to go for lunch. OK. OK. I know! I’m back to food ... but the restaurant has been restored to its appearance about 1890. Good beer is served here and some pretty amazing aquavit called Arbejder Gylden is distilled exclusively for Café & Ølhalle. I was told that the builders, when they were constructing the apartment blocks in this area, worked a long day and needed a long lunch including substantial food and aquavit to stave off the cold in the Winter. Historic reconstruction seemed like a pretty good excuse to give it a try ... the aquavit I mean ... not climbing scaffold and laying tiles. To restore a thread of seriousness I would recommend the museum’s web site and a link to a report about the museum that explains its aims and achievements. When you come across a butcher’s shop that looks like this then you know that you are in a city that takes food seriously and takes good design seriously. Gourmandiet is at Rosenvængets Alle 7a, just above Sortedams Sø, the northern-most of the distinct line of large lakes that form the west boundary of the city centre. 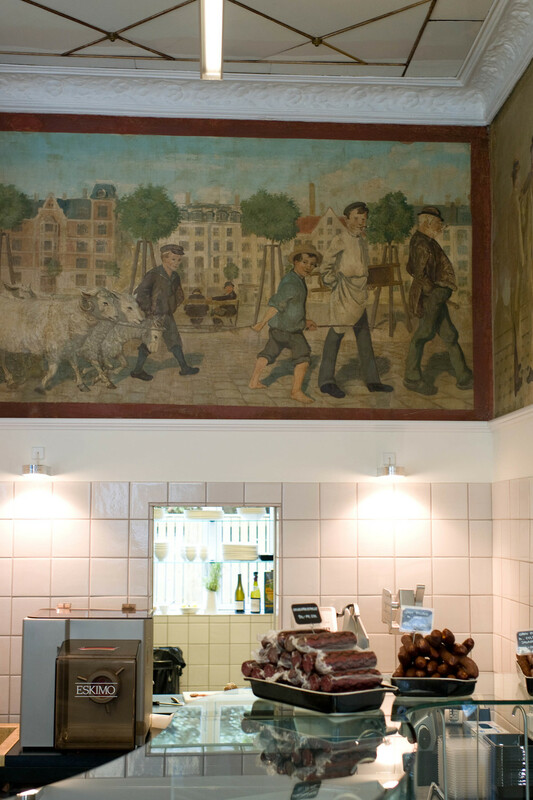 The painted frieze in the shop, depicting animals being driven to market, must date from around 1900 so the building has been used by butchers for many generations. 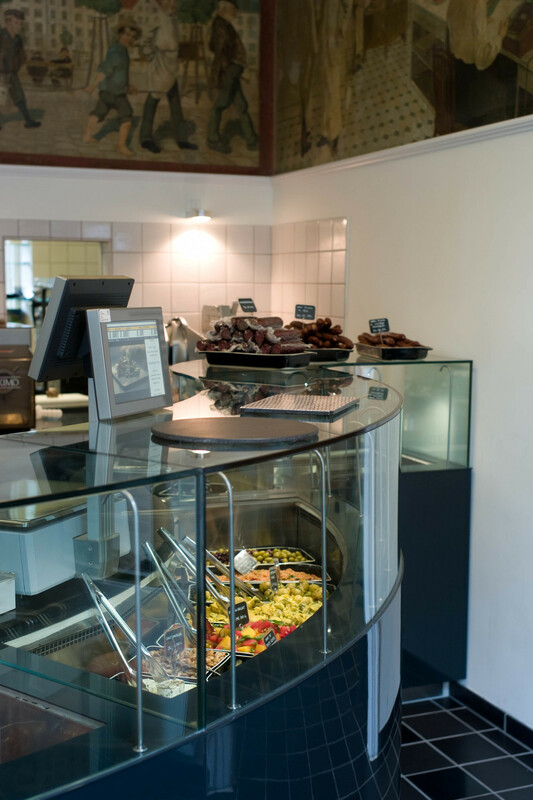 As well as a delicatessen section, there is a restaurant side of the shop that opens for supper on Thursday, Friday and Saturday evenings. If you want your meat to be the very best and to be fresh then I can’t imagine anywhere that could beat this place as the distance from the amazing chiller cabinets of beautifully prepared meat to the table is about 3 metres. Perhaps it is not necessary to point this out but obviously sitting in a butcher’s shop to eat, however fantastic the design, is probably not a good experience for a vegetarian. The catch phrase for Gourmandiet is “Home of Great Taste” but I will leave for another post a discussion about why we use the phrase good taste when we talk about both food and design ... another day and a day when I’m feeling brave or reckless because talking about good taste is fraught with danger. 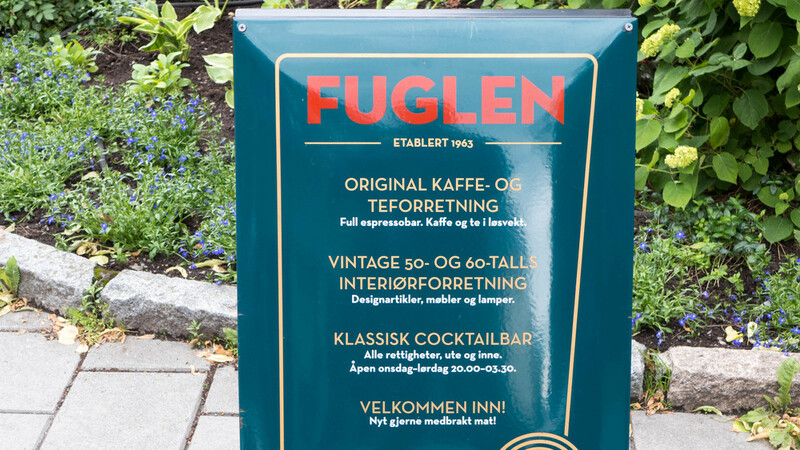 Fuglen at Universitetsgata 2 in Oslo is a coffee shop during the day and a cocktail bar in the evening. 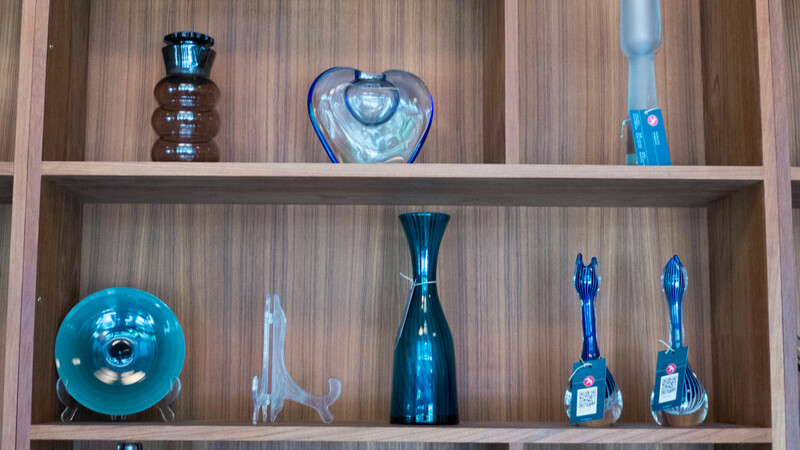 It has an amazing selection of mid-century furniture most of which is for sale. I drank my coffee sitting in a classic Stressless, produced by Ekornes and launched in 1971 and fortunately no one asked me to move so that they could buy the chair and foot stool. Open every day, Fuglen seems to be very popular with both students and business people so is busy most of the time. Fuglen and Blomqvist, the art auction House in Oslo, have recently curated a major exhibition of Norwegian design. I missed it in Oslo as it has just been taken to Tokyo before going on to New York. 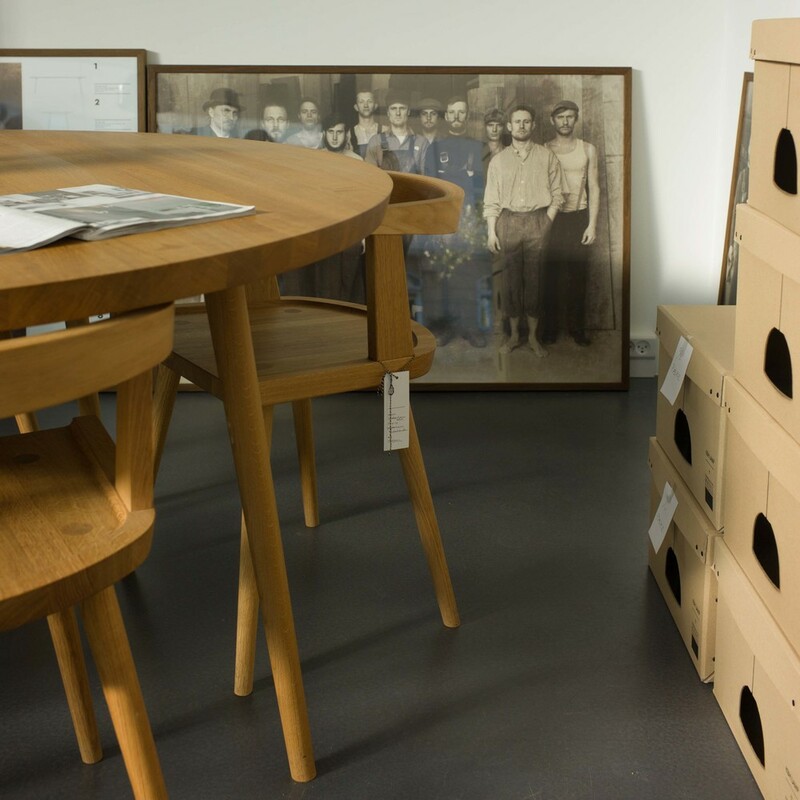 Called Norwegian Icons, the exhibition includes major pieces of furniture from the period 1940-1975 with glassware and ceramics and photographs of the Norwegian landscape by Rune Johansen and others to place the furniture within its context. Published by Fuglen Forag with photographs of all the pieces and brief pen portraits of the designers, the catalogue for the exhibition will help to re-establish Norway's place in the history of mid-century design.